Can our web browsing and web-based tools be a game? In fact, more and more websites and applications are intentionally built like a game. These sites and tools are designed to foster engagement; not unlike a puzzle, they push you towards a ‘next piece’ or a ‘next step’. 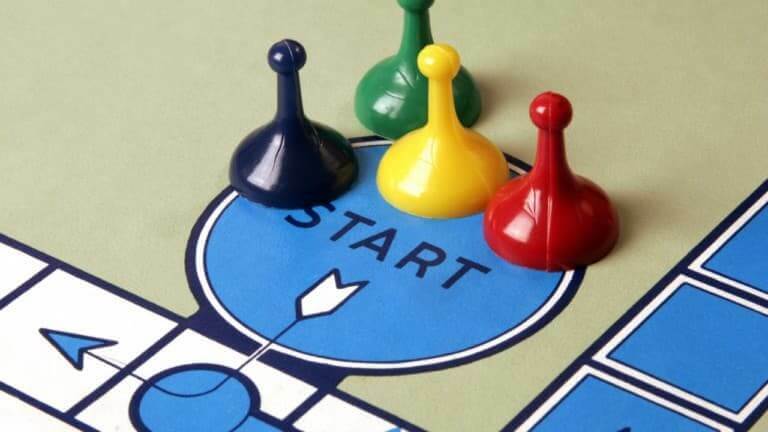 At it’s broadest definition, a game only requires a set goal (and achieving that goal should, ideally, involve an engaging experience) That the ‘gamification’ of our web-based activity is purposely built to be easy and intuitive is beside the point: we’re successfully convinced to play. A few weeks ago I wrote a post titled: Free Sandwiches. In this post I considered the many amazing innovations in web-based marketing. Most of these innovations were examples of ‘gamification’ in practice. Much like frequent flyer points accrued with an airline, a digital means of tracking dollars spent at a specific store (as these dollars work towards some form of reward, such as a free sandwich) is a perfect example of the gamification of web-based activity. It’s worth keeping in mind that the gamification of our web activity isn’t an inherently unhealthy development. As web designers adopt the motivational and engagement-boosting tools discovered and exploited by game designers, worthwhile educational opportunities are opened up. Many of these opportunities can deliver enriching experiences. Day to day business activities can now become smoother, mutually-beneficial, and altogether more engaging processes. And one couldn’t even begin to list the number of ways gamification has already assisted educators. In the field of education, gamified web-based tools often utilize the same teaching methods already found in textbooks. But these same tools can now reach new levels of engagement, not to mention unlimited scalability. One example of gamification tools being put to great use is Treehouse; this organization uses rewards and goal tracking to teach web development techniques. There is no better means to learn how to build web-tools than a gamefied, reward-based training tool. Of course, this is a very specific example. Perhaps a better example comes in the form of web-based health tracking applications like MapMyRun. Who today doesn’t use similar applications when working towards goals? And these are just random, hand-picked examples. The point is that gamification techniques can clearly help us reach even our loftiest goals. But what about the drawbacks of a gamified web? 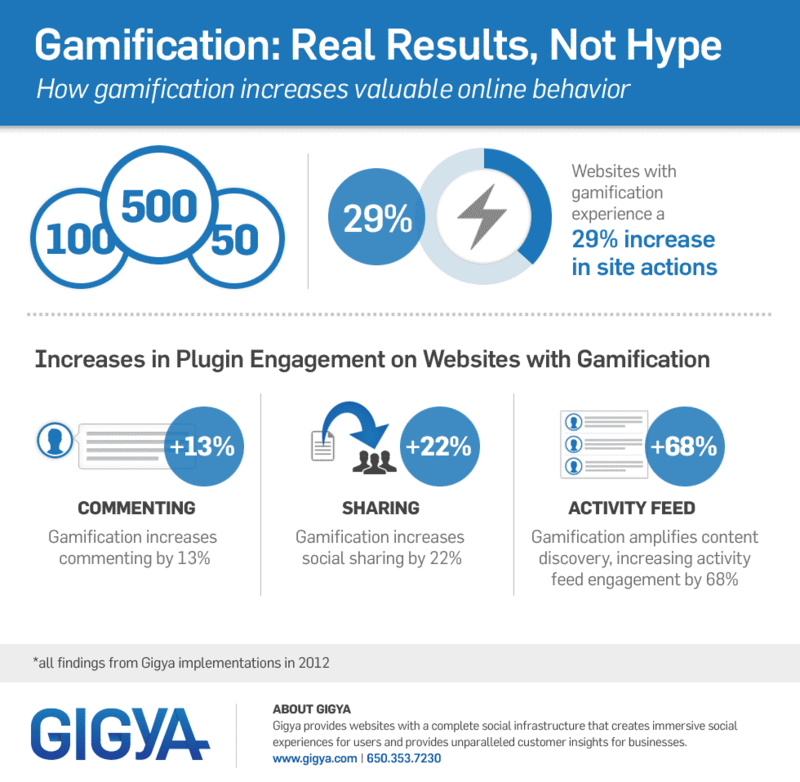 Gamification is often used to steal people’s attention away from more productive pursuits. This is becoming more and more of a problem most of us face daily. ‘Click-bait’ might be the ultimate example of these technics effectively wasting people’s time. The Onion’s latest venture (CLICKHOLE) is a hilariously spot-on example, satirizing how click bait captures attention and wastes a site user’s time by directing them to irreverent information. Even ‘reputable’ news sites are now cluttered with attention-grabbing links (after all, these organizations make much of their revenue off of your clicks. More than ever, quality of content is up to your own discretion!) As a result of this almost-impossible-to-ignore clutter, it’s easy to focus our attention on the negative side of these gamification techniques. But let’s not forget the impressive and helpful tools that these techniques are developing. As always, we have to look past the clutter. Today, marketing agencies are often driving web development; they want you to play their game and to keep on clicking. But with some self-regulation, it’s easy to find these same gamification tools being put to great use. It’s true that the web has now made it all-too easy to become distracted. But it’s also never been easier (or more fun) to learn and accomplish new activities.